You just arrived at Mobile Wins Online Casino, the most powerful pay by phone bill slots casino out there! We offer the best mobile experience for our players through pay by mobile casino deposits and mobile play with a Welcome Bonus 200% up to $/£/€100! Play using your phone now! Using your phone to deposit is as easy as playing our casino games! 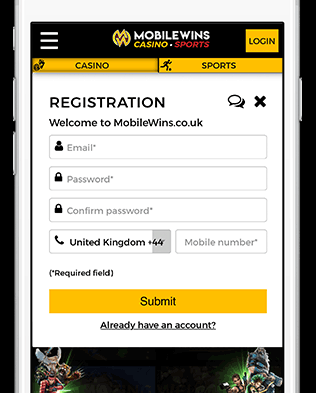 As playing mobile casino games offer more enjoyment, we have made the sign-up, and deposit process as easy as possible. This way you can win much earlier! Register here or continue reading for more information on mobile phone slots. We made it as easy as it can be! Enter the code send to your phone devices. Play slots pay with phone bill on the slot machines you like and over 800 others to discover! It is really that simple! Register now and start playing our powerful online slots games and table games using pay by phone! What makes Mobile Billing so unique?